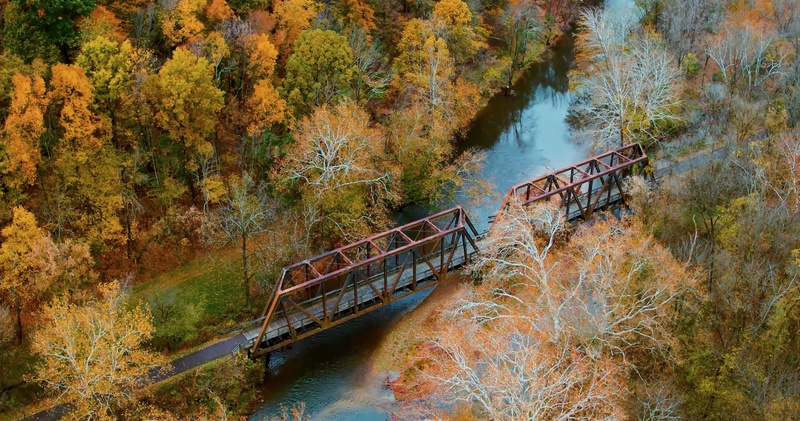 Find yourself soaring above the railroad bridge on the Kokosing Gap Trail in Gambier, Ohio and find views you've likely never seen before. 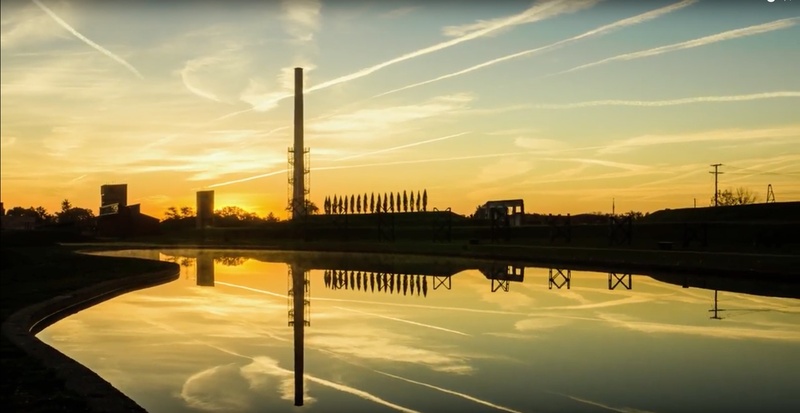 This custom drone footage below captures the serene environment of bright green forestry, birds flying by, and the rippling Kokosing River nearby Kenyon College. 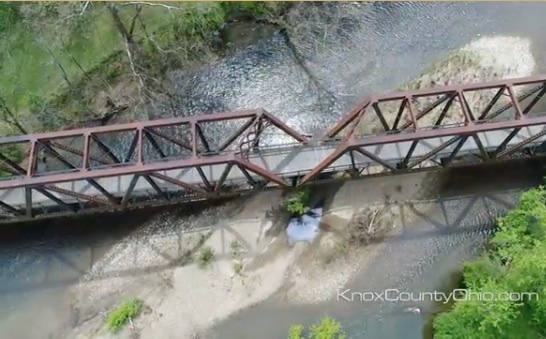 Fly alongside and inside the railroad bridge at the 4 mile marker to experience a unique tour of the Kokosing Gap Trail. 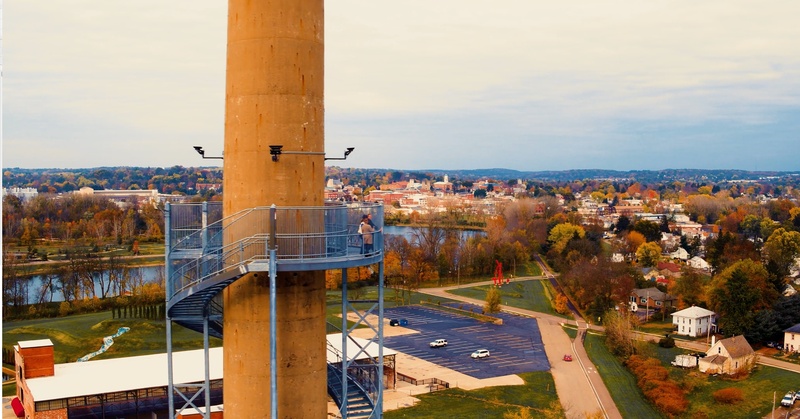 Check out our other featured article with extra drone footage on the Kokosing Gap Trail's Restored Steam Locomotive also located in Gambier, Ohio. 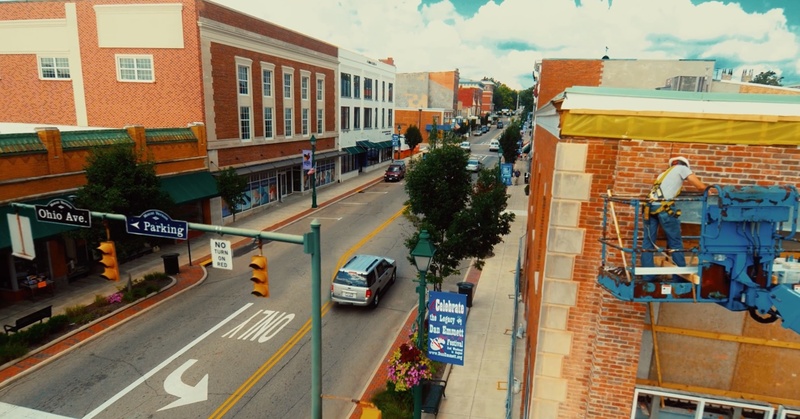 If you enjoy walking the Kokosing Gap Trail and love the community of Gambier, Ohio, consider making Gambier your new home! Click HERE to find Gambier, Ohio homes for sale. Constructed in 1940, engineers likely didn't know that they would be creating a locomotive that would be restored and put on display as a piece of history along the Kokosing Gap Trail in Gambier, Ohio. Once used for switching cargo in Alabama, this restored locomotive was transferred in 2001 and is now displayed nearby the Kenyon Atheltic Center or the "KAC" and is visited every year by many people. The Chesapeake and Ohio wood caboose was built in 1924 and was used by the trainmen to cook and eat their meals, watch the cars ahead, and where the conductor could do his paperwork. Donated to the Kokosing Gap Trail in 1997, the caboose was remodeled by volunteers who did substaintial work, and left all the lanterns, tools, stools, and locks authentic. Although visited by many, the unique perspective provided below has likely not been seen like this before. 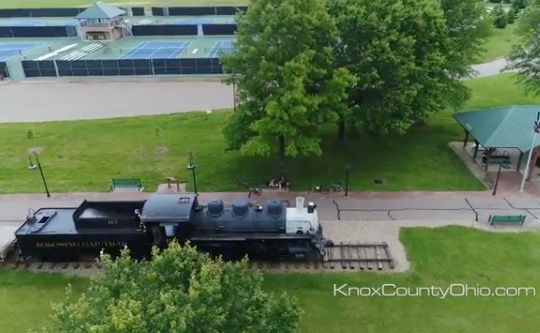 We flew our drone above the restored locomotive and caboose and captured stunning views of the caboose, locomotive, Kenyon Athletic Center, and gorgeous country views. If you enjoy visiting the restored steam locomotive and walking the Kokosing Gap Trail, consider making Gambier, Ohio your new home. Click HERE to view homes for sale in Gambier, Ohio. Experience the beauty of the Kokosing Gap Trail with hundreds of other runners during the Earth Day Challenge Marathon and Half Marathon. The race starts on the Kenyon’s College’s clandestine campus, then continues onto the trail itself. 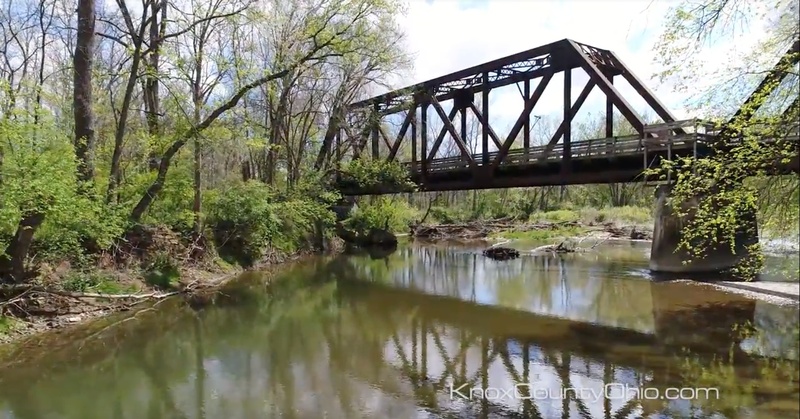 The Kokosing Gap Trail is a 14-milelong paved recreational trail built on the former Pennsylvania Railroad that lies just south of the campus, just across the Kokosing River. Keep your heart pumping and your eyes open as you run over bridges, past trees, and under tunnels. This route is all about you versus yourself, with as little outside distractions as possible. The Kokosing Gap Trail provides perfect even-terrain, with very few climbs or dips on a well-maintained path. The course continues along the trail all the way back to the Kenyon campus, up a scenic hilltop, and a left on Duff Road, where runners head north and then back up to the Kenyon Athletic Center for the finish. There’s no better way to celebrate the planet then with a soul-defining run on the gorgeous Kokosing Gap Trail. Be sure to visit our Kokosing Gap Trail page for more information about this beautiful Rails-to-Trails path.